[vii] Who is excluded and included in “the general public”? The category of “the general public” was a real issue during our mapping exercise–who are they? David mentioned that he immediately thought this referred to the mass media, such as newspapers, magazines, and TV. Melanie jumped-in to say that the newspaper-reading public was really specific in the context of South Africa (“when we use that term what we mean is the literate, internet-accessing, newspaper-reading public”), from which many are excluded. Nik told us that in the North American context anything that intends to steer policy-makers’ views needs first to appear in mainstream newspapers. The point here is that a few different “publics” emerged: the public one is working with; a public ones is targeting; an undefined “general” public (“the people” perhaps); even non-human publics. In this sense, then, what one conceives of as a public shapes the sorts of engagements and interactions it is possible to have. A public conceived of as “people that read newspapers” is a very detached understanding, and it would be difficult to have a truly participatory and engaged project with this kind of public. Related to who is included and excluded from the general public, was a question of language. 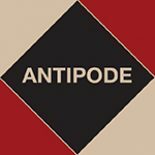 It is important to identify in our research which publics are being addressed, as the New York Times doesn’t speak the same language as Telemundo, and neither have the same style as an academic publication like Antipode. Academic publications are often written for a highly specific audience; a restricted debate can be productive, but one cannot assume that these are open and accessible to a public. In order to be a “public scholar”, what would it mean to engage with different types of audiences? Similarly, costly access to journals, the predominance of certain debates, and publishing in English all serve to exclude. What would a more equitable and engaged access to these resources look like, from a language, network and institutional perspective? Do Creative Commons copyright and open access publishing provide a different way to engage with the encryption of the academic knowledges that we produce, or even if we make them “open” will they still be difficult to access for many?